﻿ What role do SDN and NFV play on the 5G network? As I started to understand the 5G core network architecture, I noticed that the Software Definition Network (SDN) and Network Function Virtualization (NFV) was mentioned twice as two emerging technologies. However, many articles ignore the important role played by SDN and NFV technology in 5G, and many technical blogs are also from a professional operator’s point of view to emphasize the time and cost savings brought about by the introduction of SDN and NFV to operators, which actually makes me very confused, Because I still do not understand why SDN and NFV technology can have such a great potential to fundamentally understand the importance of these two technologies for 5G. As beginners, it is difficult to fully understand the entire 5G core network technology system if it is not understood in its essence. So I do some inductive finishing here, hope to help beginners. Why introduce SND technology and NFV technology for 5G? This begins with a major flaw in the current core network EPC, a flaw that is coupled! At the beginning of the construction, EPC did not consider the problem from the point of view of service and infrastructure. Instead, a centralized architecture designed for a single service (use scenario) results in a very coupling of functional partitioning between physical components in the EPC architecture, coupled with the difficulty of deployment, and the realization of the functionality relies heavily on physical hardware, The implementation of many features must be based on expensive proprietary devices. Reduce user QoS experience (QoS). PGW: PDN gateway, responsible for the allocation of IP addresses for users and the user plane QoS management, and is the PND network entry point. From the dashed and solid lines in Figure 1, it can be seen that the MME only assumes the control plane function, but the SGW and PGW assume both the user plane function and the part of the control plane function, which makes the user plane and the control plane seriously, Thus limiting the openness and flexibility of EPC. On the other hand, in this architecture, many network elements must run on a number of blade servers with dedicated hardware, which is a great expense for operators. What are the basic concepts of SDN technology and NFV? SDN Technology is a new kind of network architecture which separates the control plane of network equipment from the forwarding plane and realizes the software programmable in the centralized control plane. We know that in the traditional network, the control plane function is distributed in each network node (such as hubs, switches, routers, etc. ), so if you want to deploy a new network function, you must upgrade all network equipment, which greatly limits the network innovation! 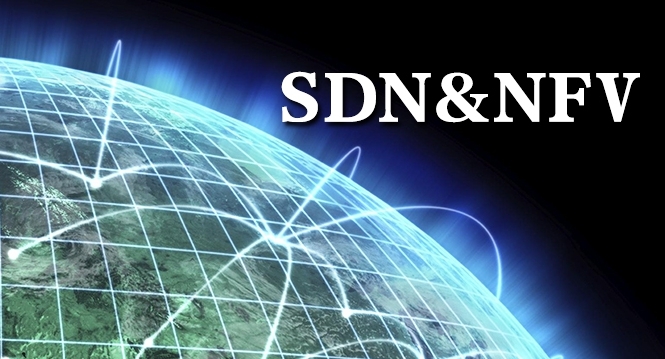 From this point of view, SDN is the emergence of the “Savior”! SDN adopts centralized control plane and distributed forwarding plane, two planes are separated from each other, the control plane utilizes the control-forwarding communication interface to centralize the control over the network devices on the forwarding plane, and provides flexible programmable capability upward. Because of this “talent”, the Sdn naturally becomes the “nemesis” of the interface of the EPC control surface and the user interface. NFV technology is a technology that integrates network functionality into industry-standard servers, switches, and storage hardware, and provides an optimized virtualized data plane that allows administrators to replace traditional physical network devices with software running on the server. Since ancient times have such a truth: the dependence on the external physical entities stronger, the more detrimental to their own development. Independence, in my opinion, is a significant good quality, which is also reflected in the network technology. Dependence on dedicated network equipment will lead us in the face of network innovation when the powerless, which at this stage of the EPC has been confirmed, so we must seek new technology to get rid of the dependence on dedicated hardware! By using NFV, you can reduce or even remove middleware deployed in existing networks, enabling a single physical platform to run on different applications where users and tenants can use the network capabilities through multiple versions and multi-tenants to facilitate the software network environment In the new network features and service innovations, NFV is suitable for any data plane and control plane functions, fixed or mobile networks, and is also suitable for the need for scalability to automate management and configuration. The SDN and NFV can be summarized as follows: SDN technology is a solution to the problem of EPC control plane and user plane coupling. Decoupling user plane and control plane can make the deployment of user plane function more flexible, The user plane functionality can be deployed closer to the user’s wireless access network, thereby improving the user service quality experience, such as reducing latency. NFV technology is a solution to the serious coupling of EPC software and hardware, which allows operators to deploy network functions on common servers, switches and storage devices, greatly reducing time and cost. In short, regardless of what the future 5G core network architecture, SDN technology, and NFV technology combination, will make the 5G core network in the high efficiency, programmability, and flexibility on the qualitative leap! It is a huge gospel for the operators to deploy the network and users to enjoy better service.